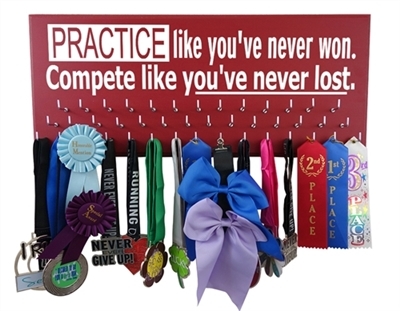 Our gifts for wrestlers are so acclaimed on the web because it is a new concept and such a wonderful way to show case the awards earned by the athlete. They truly make the perfect wrestling present. 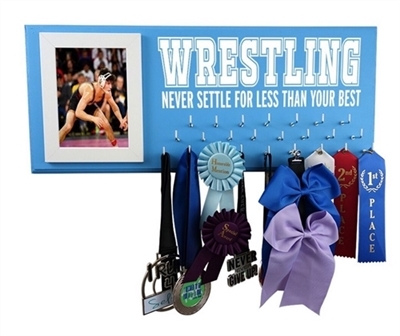 Our wrestling medal display is available in 20 different colors and various sizes. We use MDF recycled source of wood. Our displays are big and the quality will exceed your expectations guaranteed. 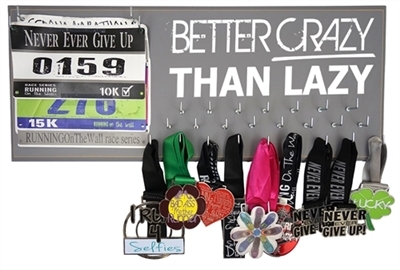 Shop now and find your favorite quote.